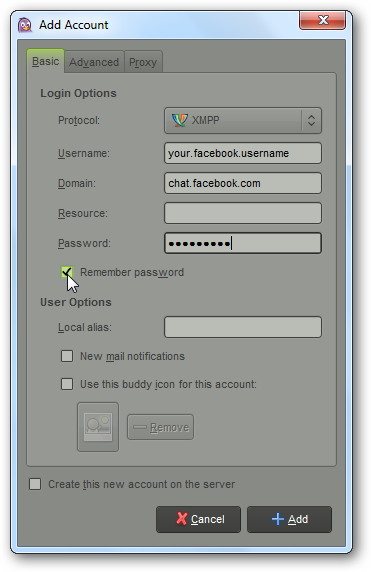 Now, enter your Facebook username without the facebook.com part (e.gyour.facebook.username, not http://www.facebook.com/your.user.name). 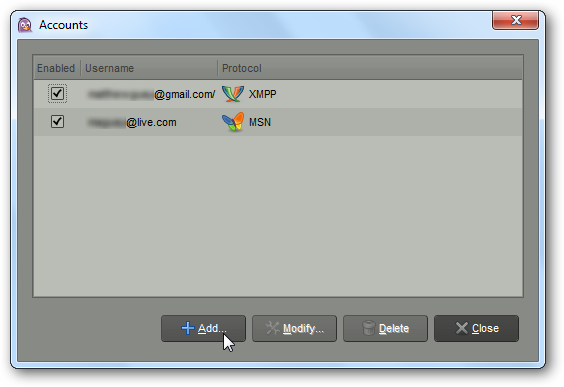 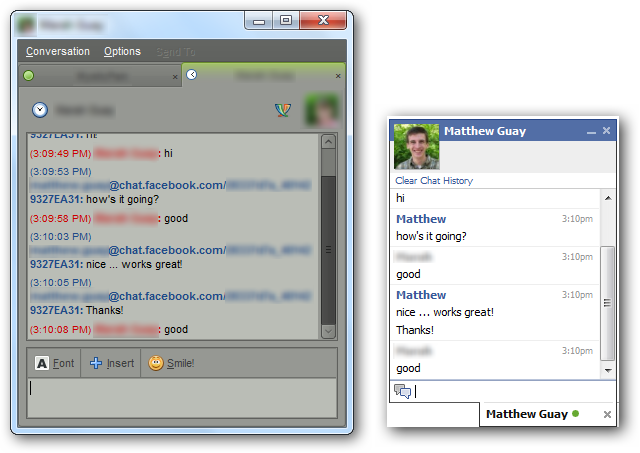 Then, enter chat.facebook.com for the Domain, and enter your standard Facebook password. 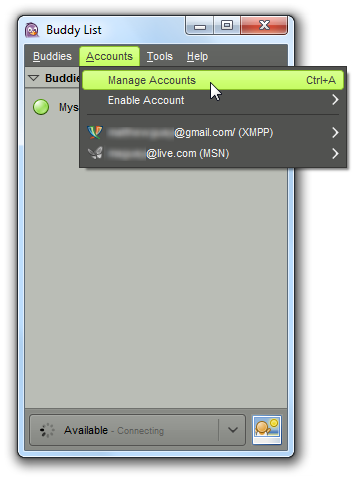 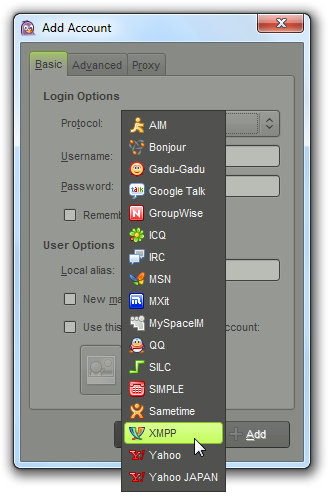 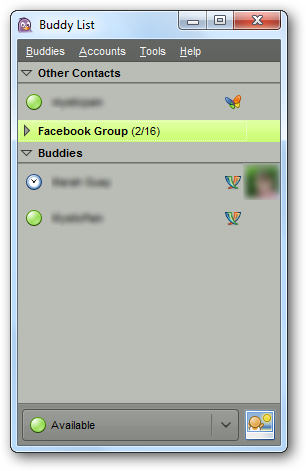 You can check the “Remember password” box if you’d like Pidgin to automatically sign in to Facebook chat. 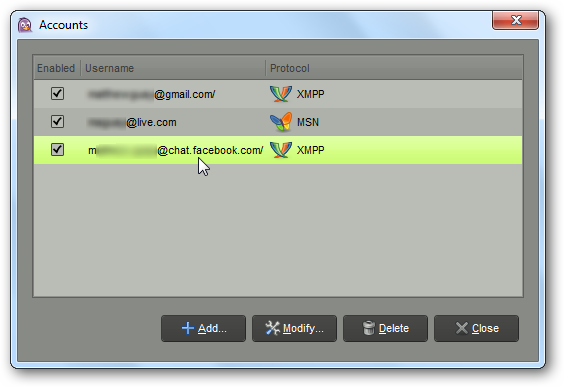 Now Facebook will show up in your list of accounts, with the usernameyour.facebook.username@chat.facebook.com.